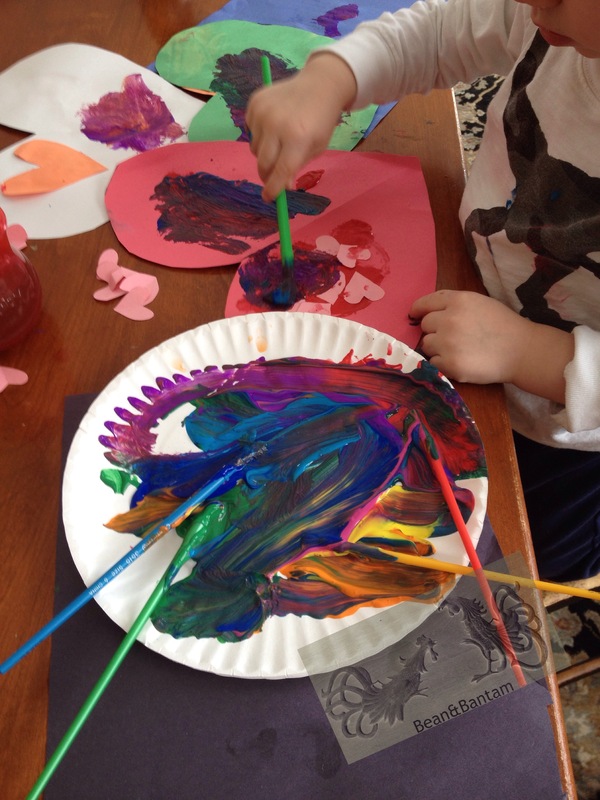 Messy kid fun can be had gardening when snow is still on the ground by planting amaryllis bulbs. Amaryllis bulbs grow fairly quickly and they generally flower less than a month from planting so it’s a great gardening experience for children. 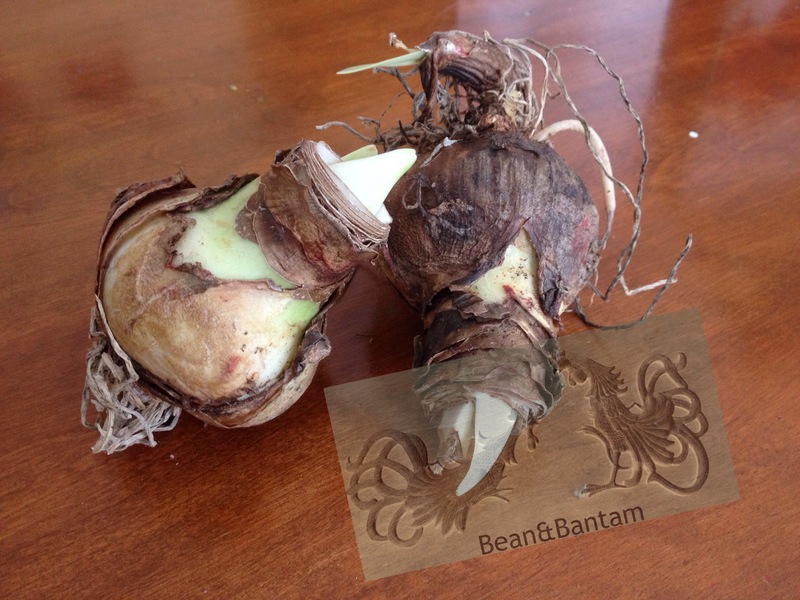 boxed amaryllis bulbs which come complete with plastic pot and compressed planting medium (if you have loose amaryllis bulbs, then you will need potting mix and 4-6″ diameter planting pot and a saucer to catch water). 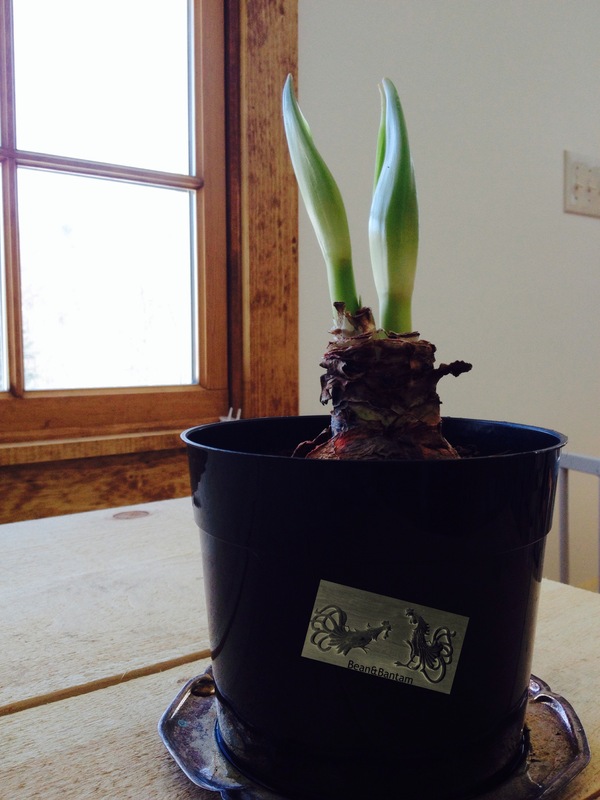 Amaryllis bulbs are seasonally available in the fall and can be found deeply discounted once Christmas has passed. I found boxed kits for about $1.00 in the clearance aisle of a local retailer after the holidays. I am thinking of starting a feature on this blog: recurring posts on the subject of how to include young children in gardening, and cooking, and in making things. Why? Because it’s messy, and it’s fun, and practice makes, well if not perfect than at least… learning and growing in skills and confidence? 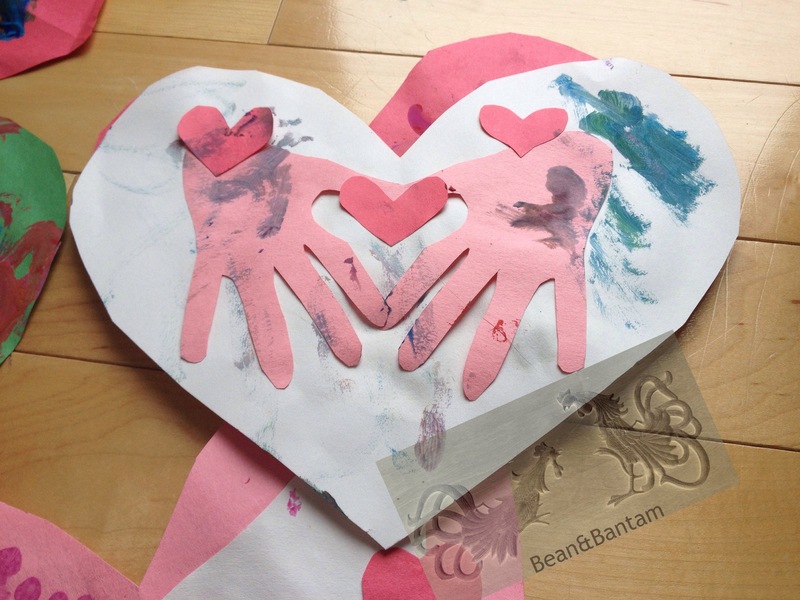 I am thinking of calling it the Messy Fun feature, with posts on messy crafts, messy gardening, & messy cooking. Messy laundry, messy cleaning, messy dressing, the list could go on and on. 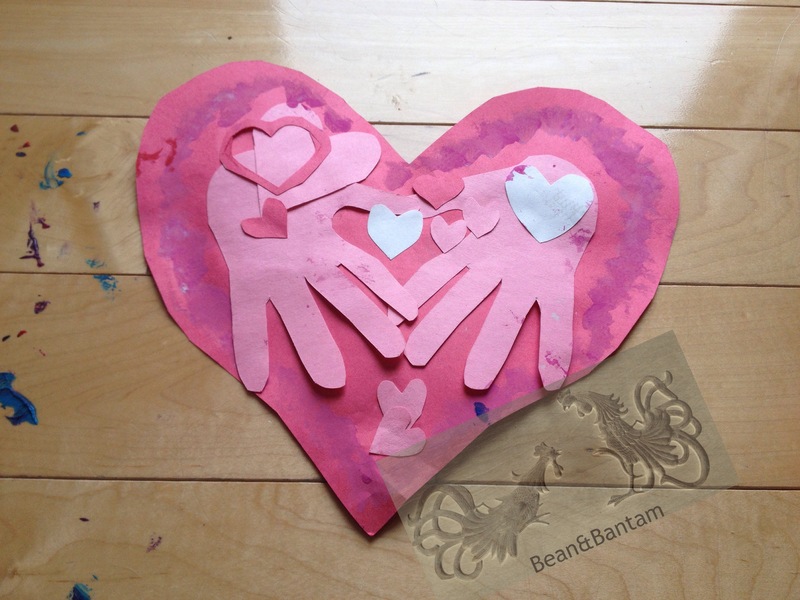 I thought it was neat that if I positioned the cut-out hands just so, the thumbs and forefingers formed a sort of heart. 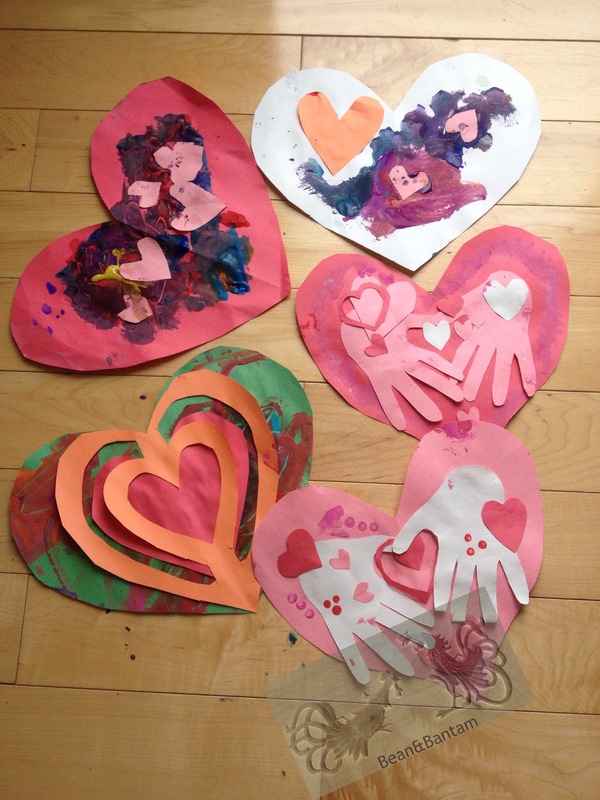 We made a baker’s dozen over two sessions, and we will be mailing them to the lucky recipients on Monday, so that they arrive in time for Valentine’s Day. It was definitely messy, and a whole lot of fun!